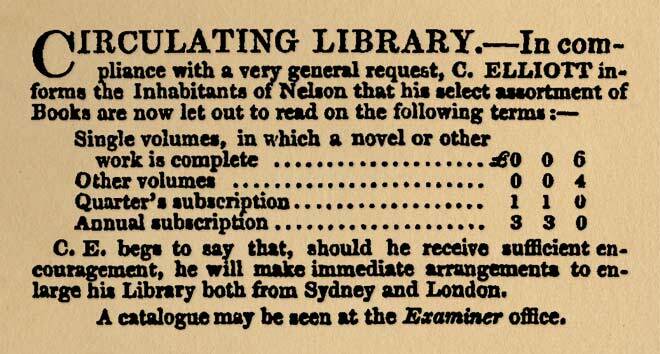 In 1842 C. Elliott of Nelson set up a commercial circulating library in the town. Borrowers could join the library on a quarterly or yearly basis, and take out books by paying a lending fee. This commercial library did not differ much from the embryonic public libraries, which also charged membership and borrowing fees.